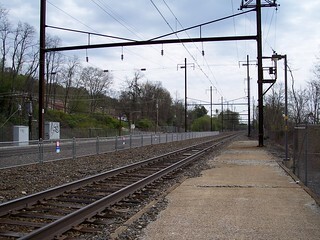 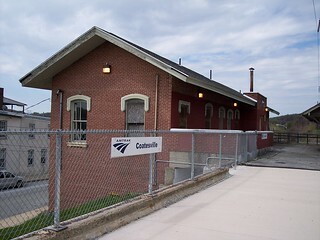 A track-level view of the Coatesville station. 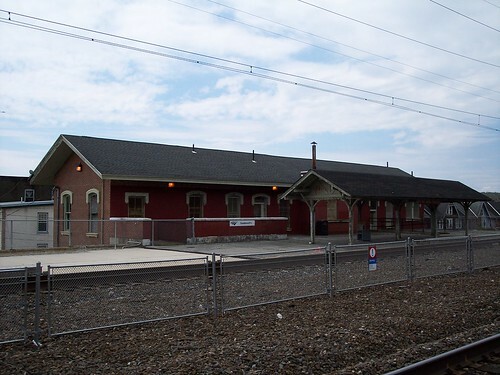 We began our trip to Middletown here. 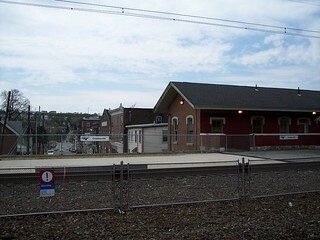 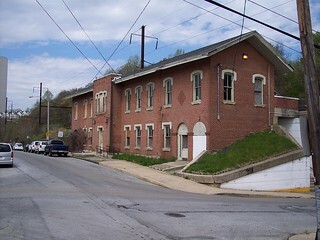 The old station building still stands but has been boarded up. 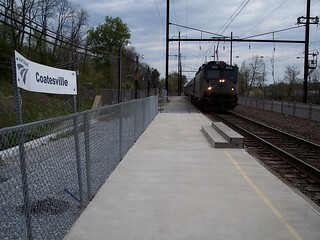 Our train from Middletown continues its journey toward Philadelphia. 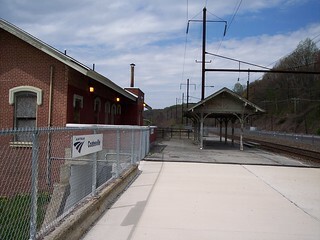 At one time the platforms were much longer. 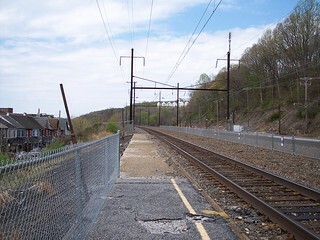 These sections have now been closed. 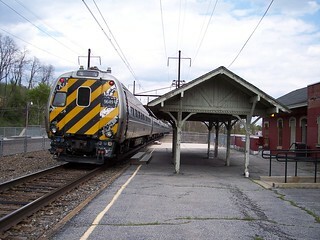 Our train to Middletown arrives. 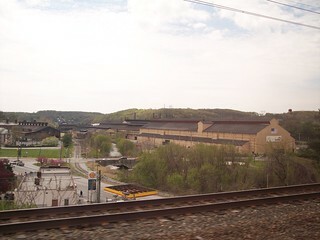 We pass some steel mills just west of the station.